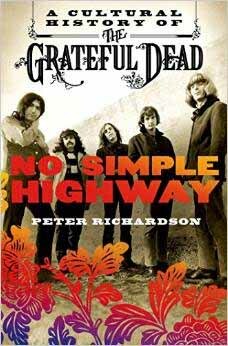 Today we’re interviewing Peter Richardson, whose new book, No Simple Highway: A Cultural History of the Grateful Dead, was released in January by St. Martin’s Press. There have been a number of books about the Dead over the years, but this one is special. From the beginning, I called it Thinkingman’s Dead. It’s a history of an iconic group, which is interesting in its own right, but it also helps us understand a distinctive strain of American culture in the second half of the twentieth century. 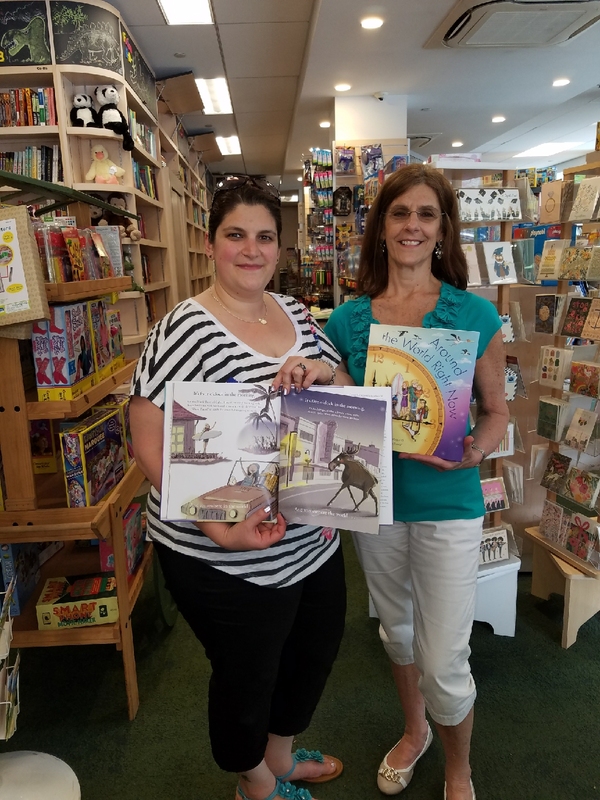 Andy: Peter, I love the fact that you organized the book around three utopian themes that have characterized aspects of American history and culture. Could you describe those themes, how they have played a role in our history, and how they help define the experience of the Grateful Dead? Peter: My goal in highlighting those themes was to move toward a more interpretive history of the Dead and their project. Specifically, I wanted to account for their long-time success. To do that, I think you have to look outside of their songbook, albums, and concert tapes. The first theme I identify is the drive for ecstasy, or the experience of total rapture. The Dead’s models (including the Beats) placed enormous importance on intense experience, and the advent of LSD supercharged that emphasis. Their penchant for ecstasy informs, but certainly doesn’t exhaust, the book’s discussion of the 1960s. Once the Dead had several successful albums in the early 1970s, they built their touring machine and incorporated mobility, another Beat preoccupation, into their operation but also into their mythology. In doing so, they tapped the American fascination with the open road. 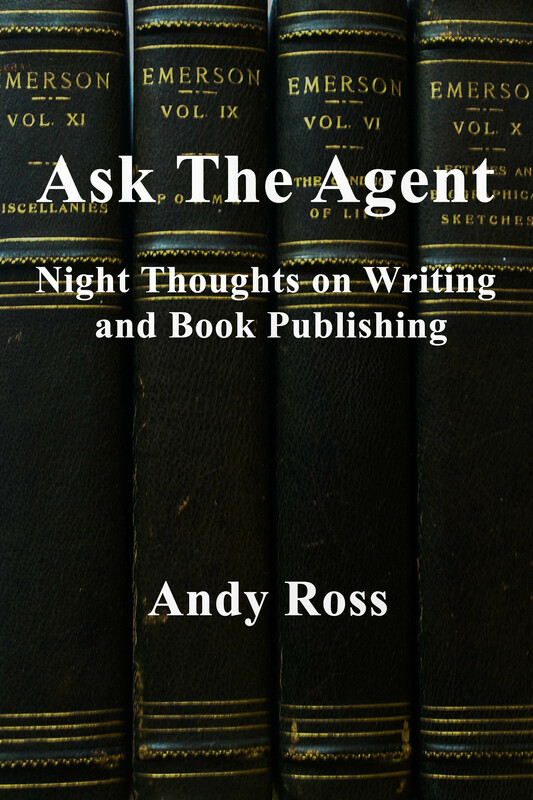 I highlight the third theme, community, in the final portion of the book. It’s very important throughout, but the Dead were especially successful at growing and consolidating their community in the 1980s. Of the three utopian ideals, community is probably the most important factor in explaining the Dead’s success. Andy: You often describe the Dead as “tribal.” That is a word we used a lot in the sixties. What does it really mean and why is it important? Peter: Much of the Dead’s success lay in growing the party, beginning with the Acid Tests in the mid-1960s. Even when they were selling lots of albums, they couldn’t support their scene through royalties alone. The community they built through nonstop touring underwrote their operation as well as their musical journey. The Dead’s tribalism, by the way, presents authors with tough choices. When you’re writing about the band and their experience, you have this enormous cast of potential characters to consider. If you introduce too many characters, the major ones get lost in the shuffle. So I looked for characters who could advance the story at several different points or on multiple levels. I was looking for characters who paid their own way, so to speak. Andy: What do you mean by “paid their own way”? Tell me about some of these characters. Peter: I just mean that I was trying to avoid secondary and tertiary characters who appear one time and disappear. That makes for tough reading, even though it does reflect the Dead’s emphasis on community. But some characters, even those who aren’t strongly associated with the Dead, can help readers at several different points. Much to my surprise, one of those characters turned out to be Ronald Reagan. He was a perfect foil for the Dead and their project. Andy: I’m glad you mentioned Reagan, because that brings up the important question of the Dead’s attitude toward politics. People sometimes criticize them for being apolitical. Peter: Let me be clear about this, because it’s easy to get the Dead’s politics wrong. The Dead were constantly asked about politics, and they usually deflected those questions. They were outspoken about the environment, they criticized the war on drugs, and you can unpack their politics by reviewing their philanthropy, for example. But they rarely talked about electoral politics or politicians as such. Garcia made an exception for Ronald Reagan, whom he ribbed repeatedly in the media. Also, the Dead were never more popular than when Reagan was in power: first in Sacramento and then again in the White House. Did the Dead have a long, bitter blood-feud with Ronald Reagan? No, of course not. But I don’t think their success in the 1980s, with Reagan’s militarized drug war and “Just Say No” message, was a coincidence. The Dead recruited many new fans when the Reagan message was to say no to drugs, but also to rapture, adventure, bohemianism, and other things the Dead stood for. Consider the lyrics to “Touch of Grey,” the Dead’s only top-ten single. It’s an anthem to the Dead’s own survival in the Age of Reagan. And Dead Heads wanted to hear it, because it was about their survival, too. And it was also about Garcia’s survival—literally, since he was in a life-threatening diabetic coma the year before. So Reagan was, as I said, a character who paid his own way, first as the anti-hippie governor of California, and then as commander-in-chief in the war on drugs. And for those who are still skeptical about the political dimension of the Dead’s story, consider the hit pieces on Jerry Garcia when he died. I mention three in the book: by George Will, William F. Buckley, and Mike Barnicle. Those pieces weren’t really about Jerry Garcia. They were about the legacy of the 1960s counterculture, which Garcia and the Dead had come to symbolize. That legacy was still being contested in the mid-1990s, a quarter-century after Woodstock, when the Dead’s popularity was peaking. Those hit pieces suggest that the iconic power and media stereotypes that attached to the Dead were—and still are—distorting our picture of them. No Simple Highway was meant to challenge those stereotypes and replace them with a fresh portrait. Andy: You mention the Age of Reagan, the war on drugs, and the Cold War. What other cultural backdrops are especially important in your book? Peter: One backdrop that I never tired of researching was the back-to-the-land movement: Maybe because I still entertain fantasies about it. I mean, what good Californian doesn’t want to leave the city and move to a hip Mayberry? And of course Mayberry was a product of that period, a kind of televised hallucination, along with the Beverly Hillbillies and Green Acres and all the rest of it. For the Dead, the back-to-the-land movement offered recourse to their roots in folk music as well as a path to commercially successful albums. In the late 1960s, they were hanging out with David Crosby and his new collaborators, who hit it big with Crosby, Stills & Nash. That album and their next one, Déjà Vu, really caught the back-to-the-land spirit—a connection to a simpler, more organic way of life. It was deeply nostalgic, but the nostalgia differed from Reagan’s, for example. And then the Dead scored big, too, with Workingman’s Dead and American Beauty. And once you start talking about that movement, you have to mention Stewart Brand and the Whole Earth Catalog, which was a love letter to that pre-modern, agrarian America. Brand is another example of a secondary character who pays his own way. 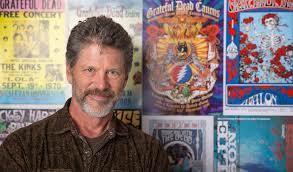 He was a Prankster who organized the Trips Festival, published the Whole Earth Catalog, and then founded the WELL, the first online community that attracted lots of Dead Heads in the mid-1980s. The back-to-the-land movement also gave me a chance to write about Marin County. Some big battles over open space were waged during that time, and the Dead loved Marin’s pastoral element, which was a movement ideal. And even though most people think of the Dead as a San Francisco band, they didn’t live in the city very long. Less than two years, actually, compared to decades in Marin. Andy: How do you explain the continuing popularity of the Dead? A lot of the fans are one or even two generations removed from the original fan base. Peter: It turns out people want some ecstasy, adventure, and community in their lives. And I think the continuing popularity you mention testifies to the third thing in particular. The Beatles didn’t foster community, and Bob Dylan, for all his other points of contact with the Dead, most emphatically didn’t do that. Quite the opposite, in many ways; he was always the solitary artist who cultivated mystique. Many critics didn’t understand that Dead concerts were an opportunity for that community to commune. That urge didn’t perish with Jerry Garcia, and its members still draw a lot of identity and significance from their association with the Dead. I’m pretty sure you’ll see that in action this summer in Chicago. Andy: Thanks, Peter. People, you should go out and visit your local independent bookstore and pick up a copy of No Simple Highway: A Cultural History of the Grateful Dead. I think you will like it.